Contemporary problems of economic and social change have obliged social scientists from different fields to learn much about each others' work as well as about the specific problems they are together seeking to solve. The bearing of economic conditions on the character of a social system has become more apparent to anthropologists, and, similarly, economists have become more aware of the relevance of social factors to economic decisions. This pioneering book is at the point of contact between these two disciplines, presenting detailed studies from many societies of the interaction between social and economic relationships. The studies in this volume--all by social anthropologists --focus on the formation and management of capital, since this process is central to the economic functioning and growth of all societies. With this central theme, the essays cover a very wide geographic range and an equally wide range of social and economic structures. 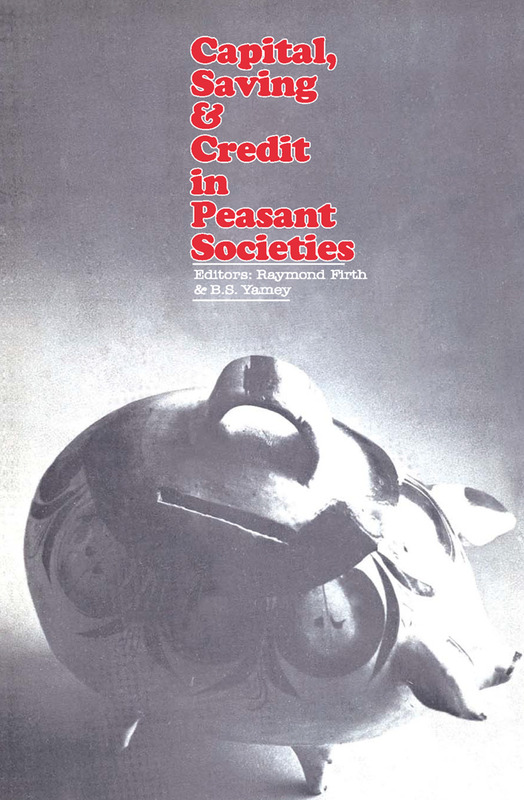 The book begins with an essay by Firth, who provides an extended outline discussion of the main problems and issues to be covered, and ends with an essay by Yamey, who provides summarizing comments and queries. The volume will be especially useful to those concerned with the problems and prospects of economic and social change in underdeveloped areas, in addition to economists and anthropologists concerned with what each can learn from the other.